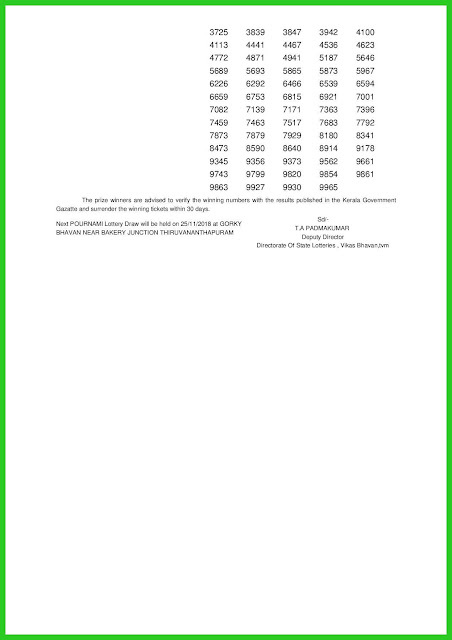 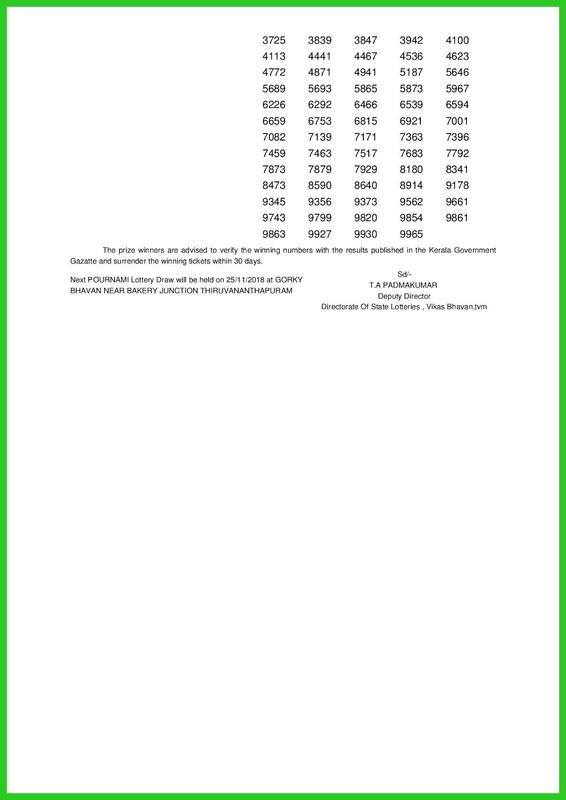 Kerala Lottery Result Today 18-11-2018 is pournami lottery RN 366. 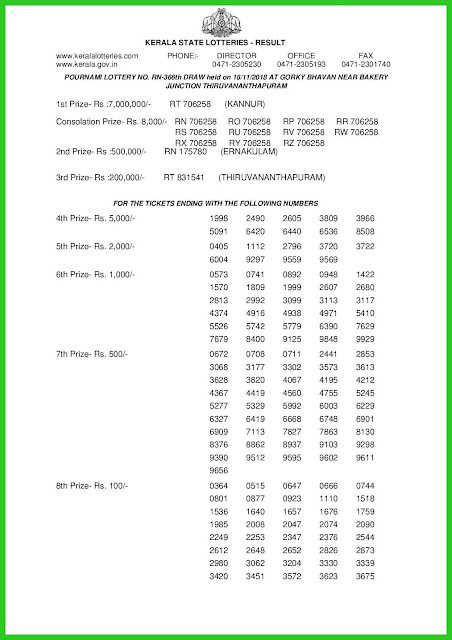 Today kerala lottery result will be announced on 18/11/2018 at 03:00pm. 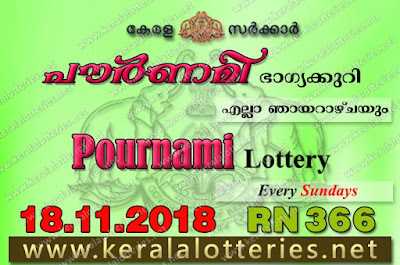 The kerala lottery department held the draw of RN 366 Pournami lottery today 18.10.2018 at sharp 3pm with the presence of officials in the Auditorium of Sree Chithra Home Thiruvananthapuram. 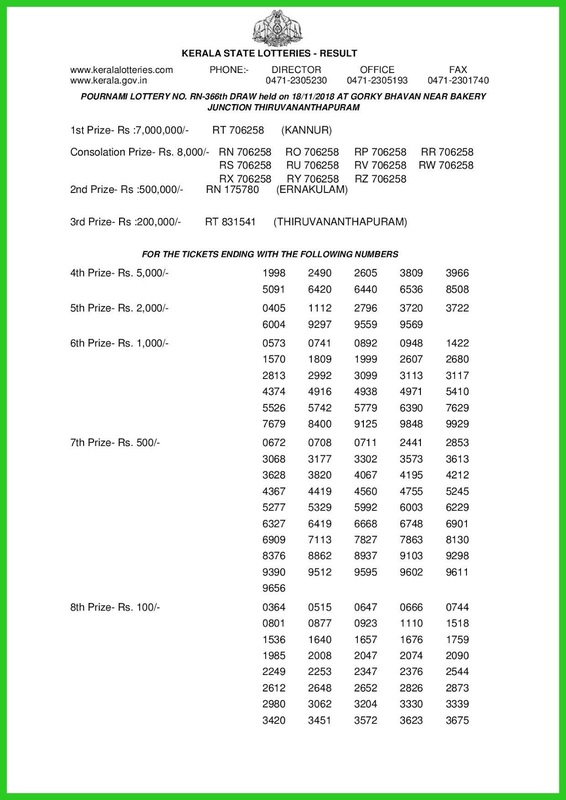 Kerala lottery result today, kerala lottery results today, today kerala lottery result, 18 11 2018, 18.11.2018, kerala lottery result 18-11-2018, pournami lottery results, kerala lottery result today pournami, pournami lottery result, kerala lottery result pournami today, kerala lottery pournami today result, pournami kerala lottery result, pournami lottery RN 366 results 18-11-2018, pournami lottery RN 366, live pournami lottery RN-366, pournami lottery, 18/11/2018 kerala lottery today result pournami, pournami lottery RN-366 18/11/2018, today pournami lottery result, pournami lottery today result, pournami lottery results today, today kerala lottery result pournami, kerala lottery results today pournami, pournami lottery today, today lottery result pournami, pournami lottery result today, kerala lottery result live, kerala lottery bumper result, kerala lottery result yesterday, kerala lottery result today, kerala online lottery results, kerala lottery draw.